Compatible with CueScript CSF10 10.4” Monitor and CSHCS Small Collapsible Hood only. Included in the CSP10S package. 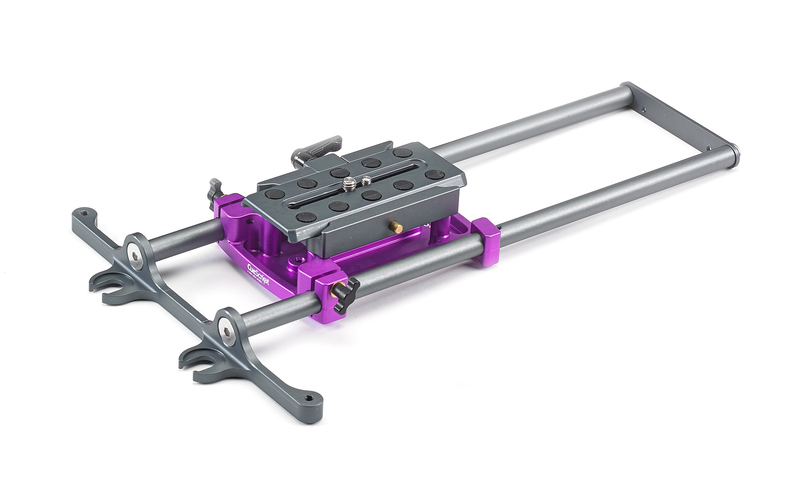 The CSMPS Small Mount Purple Plate is designed with the same quick release features as the larger versions, but in a smaller, lightweight form. An excellent choice for smaller heads and jibs. 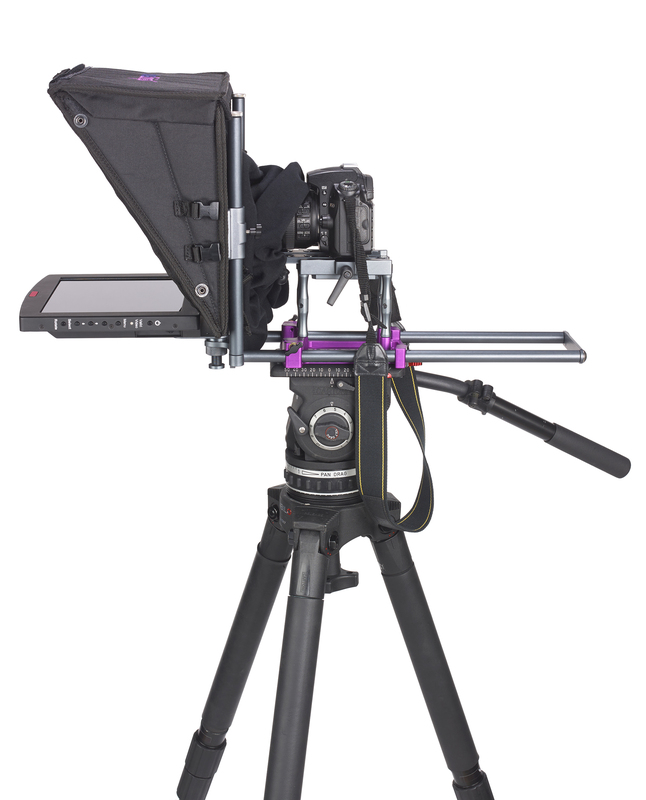 The mounting system is rock solid, giving crane and jib operators the assurance of no movement or wobble at the end of a camera move. to a straight-reading prompter. 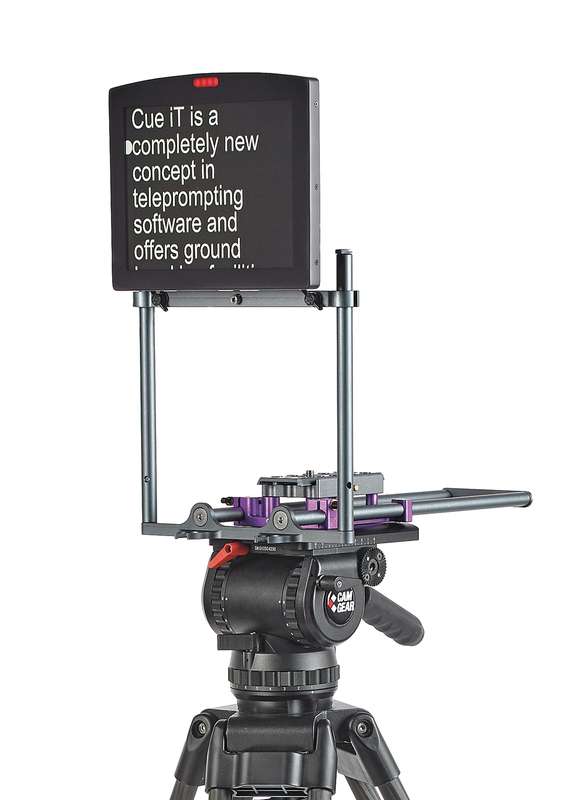 The Small Collapsible Hood can swiftly and very simply be removed and the CSF10 Monitor converted to a straight-reading position above the lens. 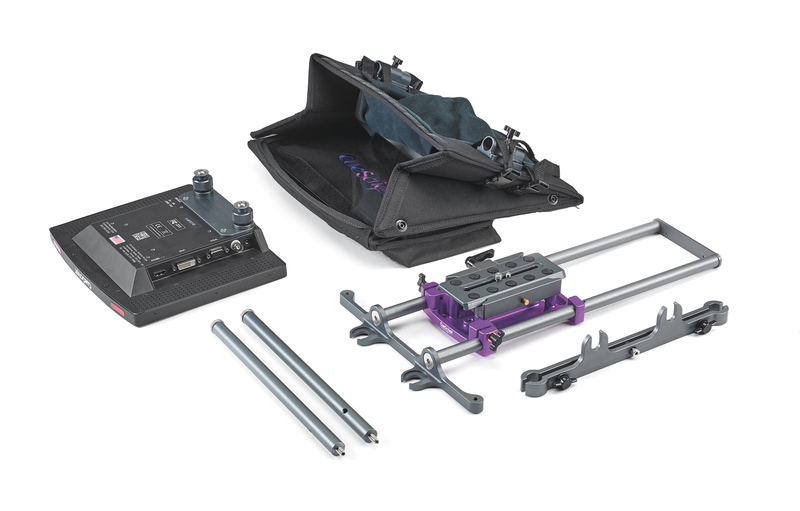 Riser pillars are available for use with DSLR cameras.